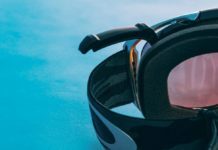 Deals on new and used ski equipment appropriate for beginning skiers can be found at off-season sales, summer garage sales, at ski rental ships, and at ski clubs swaps. 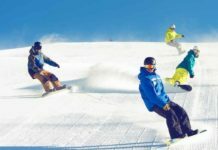 Downhill skiing is expensive, what with travel to ski vacation destinations, lift ticket prices, hotels and ski lodge prices, meals, and equipment. Just the skis, poles, boots, and bindings can cost more than $1000 for a basic set-up, and clothing can add another $1000. To outfit a whole family for skiing quickly adds up. But there are ways to minimize the expense. End of season sales are the best time to get brand-new gear at discount prices. Ski manufacturers update their skis annually, and last year’s model is an albatross taking up shelf space at a ski retailer. Also, many ski retailers become bike shops or general outdoors stores in the summer, and need to move unsold inventory. Early season sales can also be a last ditch effort to unload last season’s leftovers. They can also be a chance for the ski shop to get some sales momentum going. 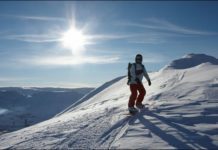 Deals are sometimes available on new packages, in which skiers buying the whole ski package are sometimes offered a discount (or might sometimes be given one if they ask). Retired rentals are often available from ski area rental shops, as rental shops at and near ski areas routinely upgrade their equipment. Retired rentals won’t be pretty. (Among other things, they will most certainly have the tell-tale beginner scrape marks caused by marks of crossed ski tips.) On the plus side, retired rental skis won’t be too badly out of date. (Ski areas have to be aware of their image by keeping reasonably current gear available for rent. Retired rental gear won’t be cutting edge, but it won’t be antique, either.) And, unlike personal gear, retired rental gear has generally been well-maintained. Ski areas are well aware of their legal liability, and take good care of equipment. Best of all, retired rentals will be cheap. Returns are another possible, though not common, source of almost-new skis. 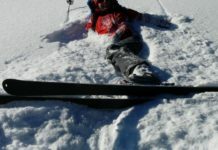 While skis are not usually returnable after use, every once in a while, a customer buys a ski package and finds an acceptable reason to return it. These skis will probably only have been used a few times, and will be deeply discounted. Yard sales are a mixed proposition. Ski clothing and equipment can be found for very cheap prices at yard sales in towns near ski areas. (The going rate in New England, for instance, is around $10 – $30 for ski boots and another $10 – $30 for skis with bindings.) Yard sales are a great option for skiers looking for clothing, but are a bit more risky for those looking for equipment. Yard sale ski boots are usually a safe bet. (Try them on, of course). 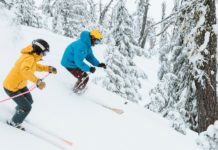 Skis are a bit riskier because, among other things, skiers must be able to tell today’s contoured skis from yesteryear’s straight ones, and should know the length that is appropriate for their height and skiing ability. Bindings are riskiest of all. Used binding must be adjusted and checked by a professional. 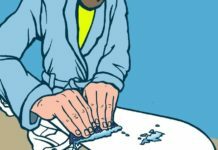 But for liability reasons, ski shops refuse to maintain or work on bindings that are more than a few years old, so buyers need to know exactly what they are purchasing. Yard sales are also a good option for outfitting children, because children’s gear is even cheaper. 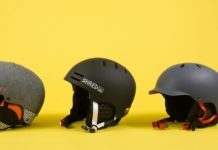 It’s also a much safer purchase because children tend to outgrow their gear before it becomes outdated by new technology, so the gear might be almost current. 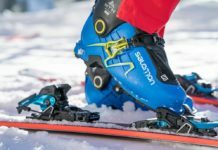 By exploring some of these options for new and used ski equipment skiers can keep at least some of the prices of their new winter hobby under control.